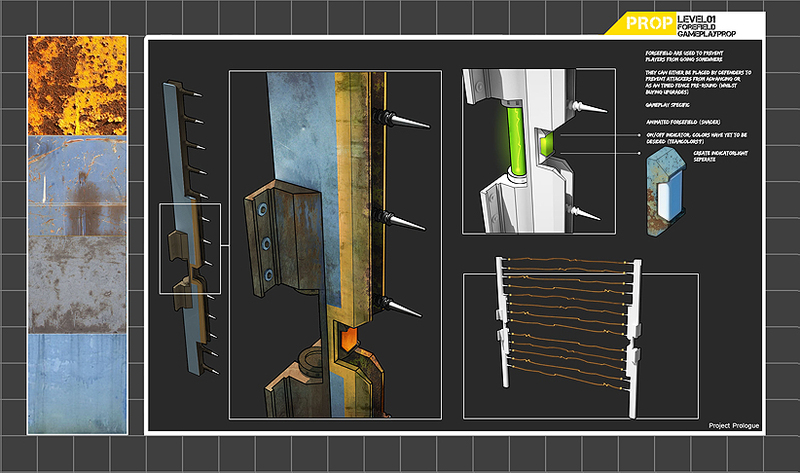 The detection pole can be placed in the level by players. In the image you can see three types of them. Some may only have a flashing light on top, while others can explode by shooting at them. 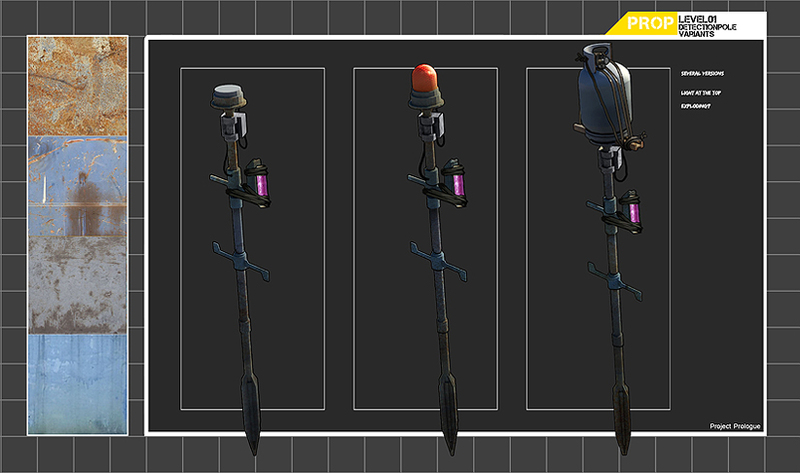 This upgrade can greatly help players to locate their enemy, because each of these detection poles will give off a loud beep when an enemy passes them. The force field will help to keep players contained in a specific area. 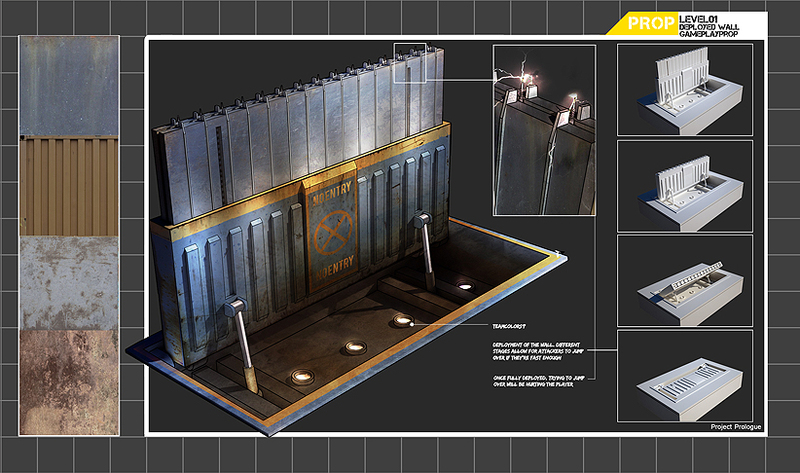 As a team you can open or close the gate, and pass through the lasers without any problems. You would be unlucky to try and do that when you're not in the team that closed the gate, because it will keep you outside the gate and hurt you, should you try and walk through it. Some areas can be accessed in the "Breach"-game mode by pressing a button or pulling a lever. Some floor parts in the level can completely transform in to walls and block entire areas. The "deployed" wall is one of these parts.